Mustafakemalpaşa is a district of Bursa and it is 80 km far away from Bursa. After the capture of the region by the Ottomans, it was given to Lalaşahin Paşa as a benefice, due to the promise of Orhan Bey, the Ottoman Sultan. 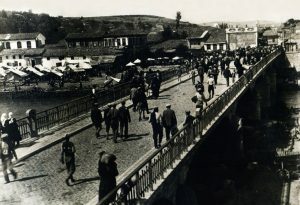 After the Turkish War of Independence, the name of the district was changed to Mustafakemalpaşa with the decision of the municipal council. Suuçtu Fall and Tümbüldek thermal baths are spectacular in the district. Furthermore, Ayvaini Cave, one of the underground caves in Turkey, ancient city Miletepolis town and Dorak Ruins are the heritage of history in the region. The main economic means of living are agriculture and trade in Mustafakemalpaşa. It is the most developed agriculture district of Bursa. The district is famous for its Kemalpaşa dessert. The dessert has been produced since 1950s, with special cheese and it is served with cream in winter and ice cream in summer, after it is cooked in boiling water in accordance with its tariff. It is produced by many firms today and it is sold fresh in the district, and double roasted in other provinces to last long.